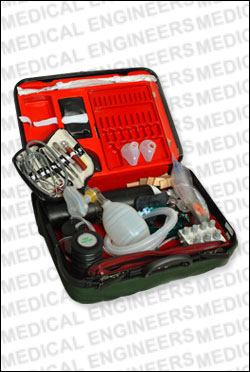 Manual Operated resusitator with double inlet valves For Air & Oxygen Attachments. 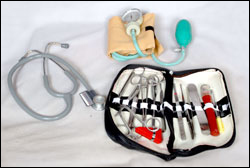 Three Sizes face masks with tubing. Single Stage Single gauge regulator. 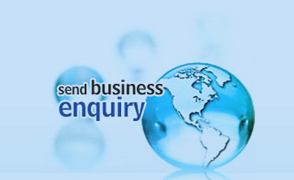 Provision to use bigger cylinder with Tubing fitted with metal end. Refilling Kit for Refilling the Cylinder. 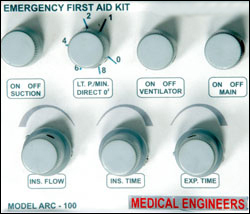 Oxygen flow Control from 0 to 10Lt./Min. Simply turning by 02 knob. 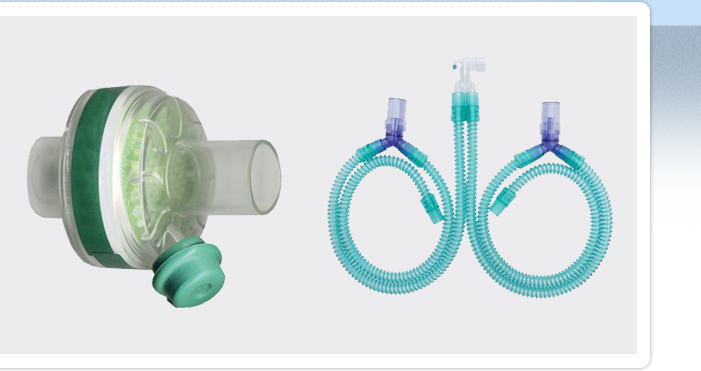 Supplied With Nasal Oxygen cathetor, Adult & Child poly masks and Ventimask for Concentration of Air & Oxygen with Tubings. 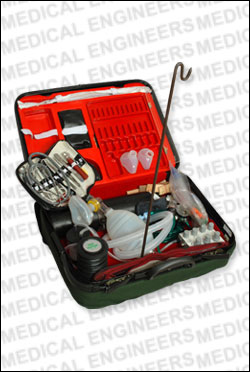 Manually operated Suction Pump to aspirate the mucus, blood or other secrations from the entire airways of Adult, Child or Infants. It can also be operated from Gases by simply turning the suction knob. 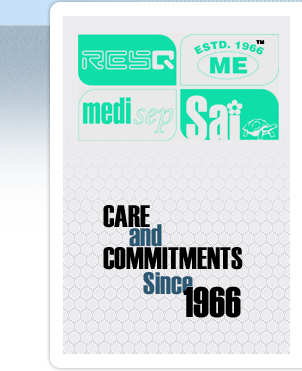 Supplied with suitable Suction Catheter. 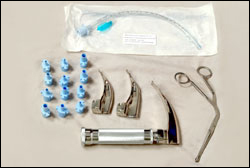 Laryngeoscope with Three blades & Handle. 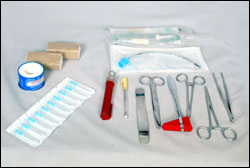 Endotracheal Tubes with cuff and plain four sizes sterilized. 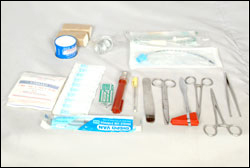 Endotracheal connection set of 12.